This is the first time we have written about this subject. We plan to address it more in the future as it relates to Lake County. For those those that fail to realize that evil rules this world….We are trying to show the progression of evil as it works in incremental steps. We start our timeline from the formation of Planned Parenthood, and take you through the events that have lead us to our current evil, despicable state of affairs. In 1925, the ACLU paid a teach to teacher evolution in the schools. Within four decades laws were reversed so that teaching Creation is outlawed and teaching evolution is mandatory. In 1948, the Supreme Court used the “Separation of Church and State” argument to outlaw a time for school prayer. In 1962, the ACLU again got the Supreme Court to declare prayer in school as unconstitutional. In 1963, the Supreme Court outlawed bible reading in classes. In 1980, the Supreme Court declared the posting of the Ten Commandments in a school classroom violated the U.S. Constitution. Dr. Bernard Nathanson was responsible for 75,000 abortions, and co-founded, in 1969, the National Association for the Repeal of Abortion Laws — NARAL — later renamed the National Abortion Rights Action League. He was also the former director of New York City’s Center for Reproductive and Sexual Health, then the largest abortion clinic in the world in 1968. NARAL knew that most Americans were against permissive abortion. However, they knew that if they could capture the media, then they could reverse the attitude of the American citizens about the perception of abortion. How did they do it? They persuaded the media that the cause of permissive abortion was a liberal, enlightened position. They lied to the media and fabricated the results of fictional polls. The fake polls indicated that 60% of Americans were in favor of permissive abortion. This tactic enabled them to perpetuate the lie since very few people want to be in the minority, therefore, opted for the safety of the majority and bought the big lie. Repeating the big lie often enough convinces the public. LIE #1. They told the media that there were 1,000,000 illegal abortions a year, when, in reality, the actual figure was ~100,000. LIE #2. They told the media that there were ~10,000 women dying from illegal abortions, but actual figures were ~200 – 300 women. LIE #3. They told the media that legalizing abortion would mean that those done illegally would be done legally. What is now happening is that abortion is now being used as a primary birth control method in the U.S. and the number of abortions has dramatically increased since the legislation was passed. LIE #4. They vilified the Catholic Church hierarchy as the villain in opposing abortion, and not the average Catholic. NARAL again fed fake poll information to the media, and the media indoctrinated the population with more lies. In reality, the overwhelming majority of of Catholics, Christians and non-Christians opposed abortion, and they ensured that any pro-life opinions were suppressed. LIE #5. The last big lie was the suppression of all scientific evidence that life begins at conception. Fetology, a branch of medical science concerned with the study and treatment of the fetus in the uterus, makes it undeniably evident that life begins at conception and requires all the protection and safeguards that any of us enjoy. They lied by insisting that trying to define when life starts is impossible. They repeated that it is more of a theological, moral, or philosophical answer rather than a scientific one. STEP #5 – 1973 Supreme Court legalized abortion with Roe versus Wade. What is the current mission of Planned Parenthood? This all seems quite harmless and for the “betterment of mankind”. So what is revealed about the mission creep experienced by Planned Parenthood?…..Keep reading! Interesting to us that we do not see the “selling of baby parts” in their mission statement. Do you see the progression? Do you see that evil is working in incremental steps? “The organization’s 2015-2016 report revealed that Planned Parenthood served 100,000 fewer women in 2015-2016 compared to 2014-2015. Their number of health centers and affiliates declined, and they performed fewer cancer screenings and prevention services. They also performed fewer breast examinations, fewer HPV vaccinations, and provided prenatal services to 8,000 fewer women than the previous year. But the abortion giant did perform several thousand more abortions than the year prior: 328,348 compared to the previous year’s 323,999. Moreover, Planned Parenthood performed 83 abortions for every one adoption referral. Planned Parenthood claims to provide a full range of women’s health services and to present women with a variety of choices, but the figures make clear their real priorities. Abortion remains Planned Parenthood’s bottom line. So in just 53 years from the founding of Planned Parenthood, Dr. Nathanson and his NARAL organization started their BIG LIE media campaign. In just 5 years later permissive abortion was legalized with the Supreme Court decision of Roe versus Wade. And then, only 46 years later it is now considered acceptable to kill a baby that is outside of the mother’s womb. 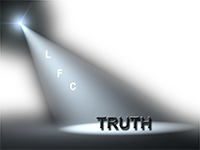 [LFC Comments: It is obvious to us that not only are we in a cultural war, but we believe that we are in a spiritual war. It is the forces of evil versus the forces of good. When you destroy the family, babies and morality, a society will collapse on itself. So what will steps #8 – #10 cover? Will it be the elderly that can no longer contribute to society? Someone struck with an lifelong illness that can no longer be productive in our society? The habitual criminal that cannot be rehabilitated? How about those that the State no longer deems has the capability to contribute to society? What about those that do not have the proper thought process, and is guilty of hate speech by expressing love of country and patriotism? A Mentor lobbyist sent this article to us…..A doctor publicly denounces the New York abortion law…. Excellent post documented by facts. Heartbreaking —evil works in incremental steps. Thank you for covering this issue – the most important Civil Rights issue of our time.